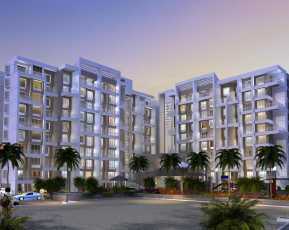 Godrej Properties has launched a beautiful housing project, Godrej Greens in Pune. 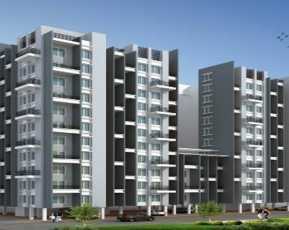 The project is located in Undri, Pune. 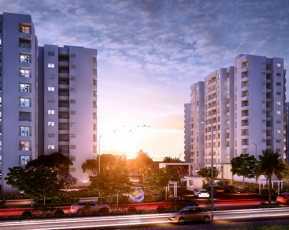 Godrej Greens is spread over an area of 10 acres. The layouts have been planned well and the interiors have been done very elegantly. Each apartment is very spacious. There are properly ventilated rooms with provision for ample natural sunlight. Godrej Greens rooms have wide balconies and large windows which lend a beautiful view outside. The external amenities of Godrej Greens are also amazing and will always help you unwind and relax. There is a meditation centre, gymnasium, multiple sports facilities and a play-area for kids. The residential housing Property in Pune complex is gated and equipped with all the modern amenities that one can think of thereby ensuring safety and comfort of its residents. There are numerous security guards on duty to keep you safe and secure. Video cams have been fitted at all possible places to ensure further safety. There is round the clock power and water supply. The other highlights include a multipurpose hall, theatre, open spaces, terrace gardens, café and the list just goes on. The location of the project is simply amazing. Godrej Greens location is in close proximity to many civic amenities. You can access places like schools, universities, medical centers, hospitals, cafes, restaurants, supermarkets, convenience stores, shopping centers, cinemas and malls, ATMs, banks, highways, all kinds of public transport and a lot more in the shortest amount of time possible. 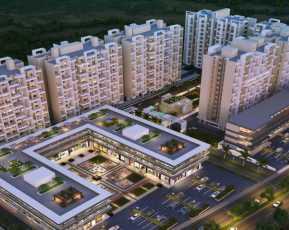 Godrej Greens price are very affordable and is very good return on investment. It also offering a number of friendly payment plans as well. Undoubtedly, This Property in Undri offers the best opportunity to own a dream house. Based on 13 recommendations Would you recommend this Property?